At the law office of Obear and Kaehne, we represent the rights and interests of individuals facing criminal charges in Sheboygan and in all state and federal courts throughout Wisconsin. At our firm, we have a simple goal, to produce the best possible results on behalf of our clients. We accomplish this by employing a team approach to investigating and building strong cases. Our attorneys meet with one another, propose creative strategies and utilize our wealth of investigative resources to ensure we arrive prepared. 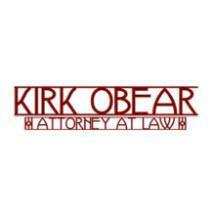 Firm founder and principal attorney, Kirk Obear, began his legal career with the JAG Corps in the United States Air Force as a prosecutor in the military justice system. He went on to become a renowned defense attorney representing military service men and women. Since moving to the civilian courts, he has built his criminal defense practice by gathering some of the best attorneys and professionals in the legal community to his team. Our attorneys have been recognized by our peers in the legal community as well as numerous others, including the National Trial Lawyers, Super Lawyers and Avvo. When you reach out to us at Obear and Kaehne, we will respond, return your calls, answer your questions and begin building a defense strategy that protects your interests.